Ace shuttler PV Sindhu, the only Indian in the Hong Open Super Series, will face Japan's Akane Yamaguchi in the quarter-final match of the women's singles event here, on 24 November. 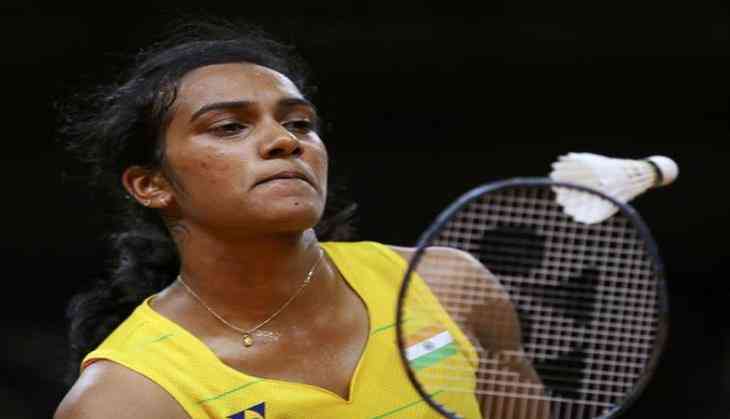 Second-seeded Sindhu is the flag bearer of Indian challenge in the tournament, after a surprise crash out of Olympic bronze medallist Saina Nehwal and HS Prannoy in second-round of the event on 23 November. Sindhu will now aim to book her place in the semi-finals of the Super Series when she meets Yamaguchi later today. The Olympic silver medallist had earlier received a 14-21, 9-21 defeat from the Japanese in the French Open last month. Sindhu marked her spot in the quarter-finals by coming strong over Aya Ohori of Japan and defeating the Asian junior champion 21-14, 21-17. Ace shuttler Saina Nehwal had bowed out of the tournament after losing 18-21, 21-19, 21-10 to China's Chen Yufei. In men's singles, shuttler HS Prannoy had lost 11-21, 21-10, 21-15 to Kazumasa Sakai of Japan in the second round to exit from the event.